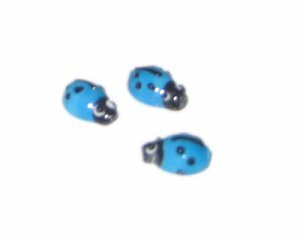 These are 16 x 10mm Blue/Black Ladybug Lampwork Glass Bead, 6 beads. SO HAPPY WITH QUALITY AND PROMPTNESS IN RECEIVING MY ORDER?? HAPPY AS CAN BE ??? ?